Happy Wednesday! 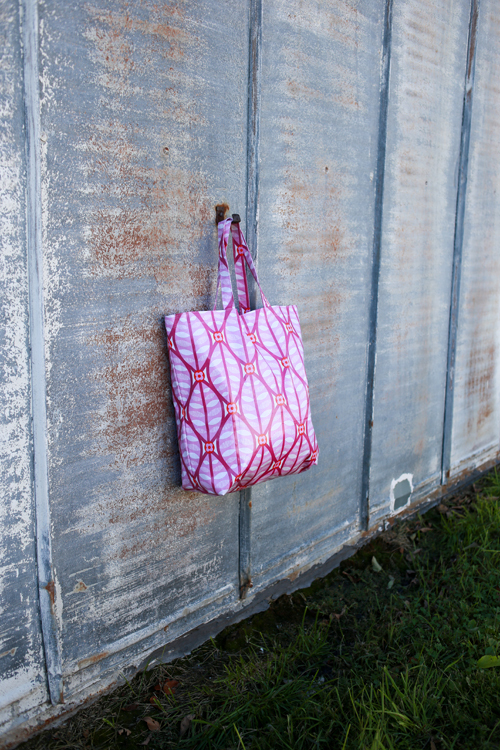 It's time to introduce my second new pattern, The Elemental Tote. When I first learned to sew on the machine at around age 11, a tote bag was the first thing that I made (shown above). For years, all I made was tote bags. I'd scour the clearance racks of the craft store for cheerful prints and turn them into simple rectangular tote bags. I usually made up the measurements as I went, so some weren't great proportion-wise! I sewed tote bag after tote bag, until I'd made enough to feel comfortable moving on to other projects. 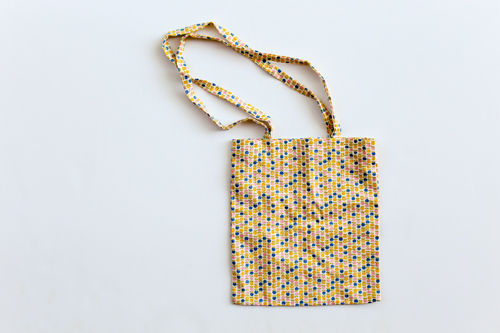 That's why I'm really excited to share this basic tote pattern with you today! 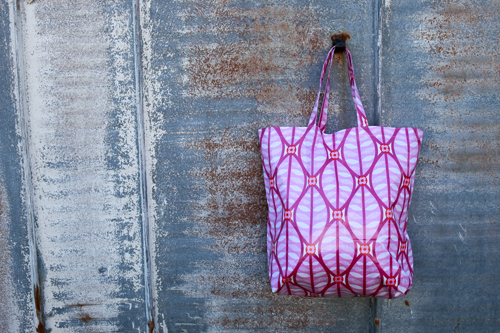 The bags in this pattern were originally developed alongside Sara Myers. Sara owned and operated The Sewcial Lounge (now closed), the shop where I taught sewing and quilting classes for the last 4 years. 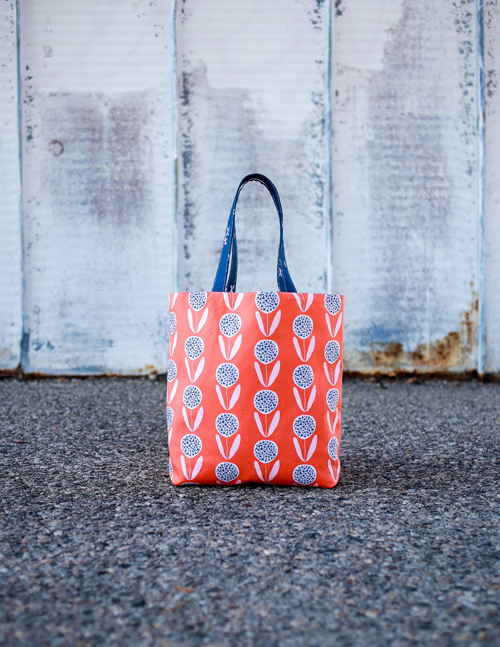 She offered a tote bag class, but with the development of the other totes we expanded it to three different classes. The original tote was too difficult for some, and not challenging enough for others. 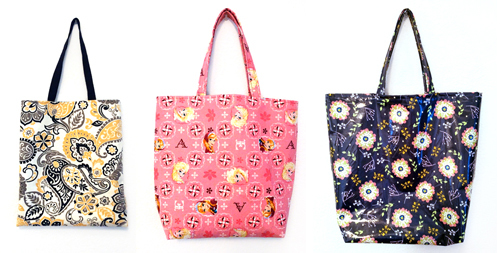 With that in mind, each of the three totes in this pattern add a new skill. You'll learn how to make handles, insert gussets (boxed bottom! ), add a slip pocket, and sew with laminated fabrics. If you've never made a bag before, this pattern is for you. Let's look at the three bags! The first bag is the Easy Tote. This bag features home decor or canvas weight fabric for the outside, a quilting cotton lining, and cotton or nylon webbing for the handles. 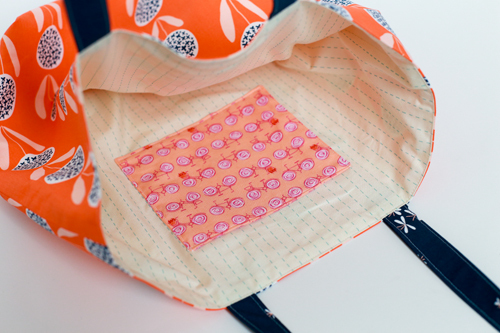 It's pretty much as simple as it gets, and if you've never sewn a bag before, this is where to start! There is a bonus tip included on how to add an interior slip pocket. For my sample tote, I used a canvas from Miss Matatabi paired with a newspaper print lining (Authentic by Sweetwater) and cotton webbing handles. I dyed the natural colored webbing hot pink to match! The second bag is the Simple Tote. With this bag, there is interfacing to give the tote extra structure along with gussets to give the tote a flat bottom. Plus you'll learn to make your own handles! An excuse to add in another fabric or color. 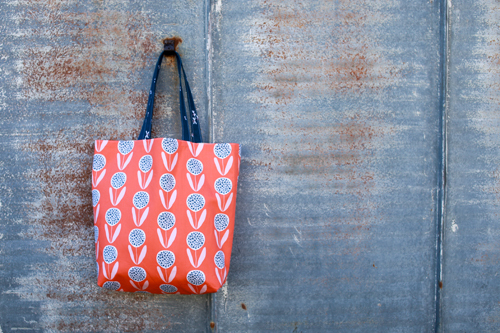 For my sample tote, I used prints from my Curiosities collection for the exterior and handles. The lining is another paper themed fabric from Cosmo Cricket. Plus a fun bike print by Erin McMorris for the slip pocket! The third bag is the Laminated Tote (my favorite of the three!). It features laminated cotton fabric. 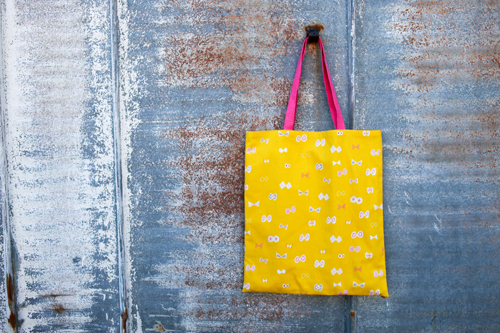 You'll learn to work with this fabric and make a big, functional (and wipe-able) tote bag. For my sample tote I used another Erin McMorris print, this time from her Greenhouse collection. I am so grateful to the sewers who tested this pattern for me, their recommendations and feedback helped me make this a better pattern. A big thank you to them! They made some really lovely bags. 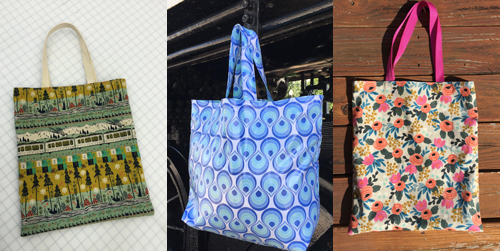 From left to right, these bags were made by Leah (@scampers_sews), Robin (@rzmakerie) and Kendra (@Threadyforanything). 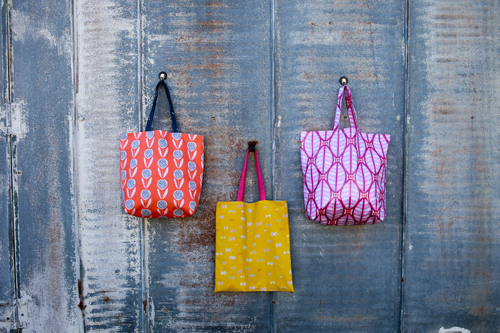 Tricia (@mcpattys) went above and beyond and made all three bags in the pattern! Here are her Easy Tote, Simple Tote, and Laminated Tote. In the end, these are sturdy totes you can stand-by. They make wonderful gifts, and are a great way to get your feet wet in terms of making bags. Like the Triplizip Zipper Pouch Pattern, this is a pattern designed to teach you new skills! The Elemental Tote PDF Pattern is available in my shop now, and the paper version can be found here! 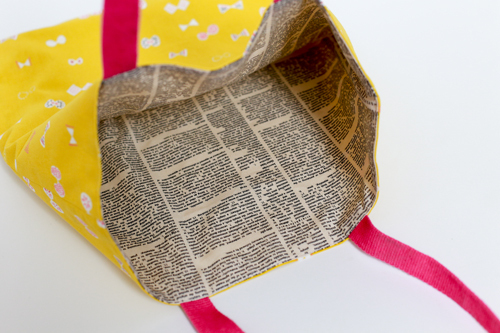 Love that news print fabric. One can never have too many tote bags. Love 'em.